Having played the bass guitar for over four decades, Geddy Lee has undoubtedly amassed a sizeable collection of the instrument. 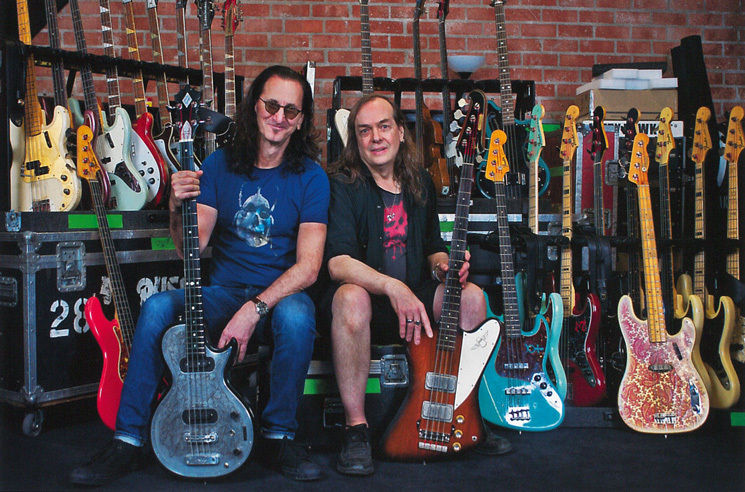 The Rush bassist will now explore his collection of instruments and the stories behind them with a new book. Geddy Lee's Big Book of Beautiful Bass is set to arrive December 4 through Harper Design and will showcase 250 of Lee's bass guitars with specially commissioned photography by Richard Sibbald. Instruments in the collection include basses made by Fender, Gibson/Epiphone, Rickenbacker, Höfner and Ampeg, in addition to luthiers such as Antonio Wandr Pioli, Dan Armstrong and Tony Zemaitis. The tome features interviews with Led Zeppelin's John Paul Jones, U2's Adam Clayton, Metallica's Robert Trujillo, Jeff Tweedy, Les Claypool and more. A pair of forewords for the title were written by Lee's bandmate Alex Lifeson and vintage expert Terry Foster. Geddy Lee's Big Book of Beautiful Bass is available for pre-order here.